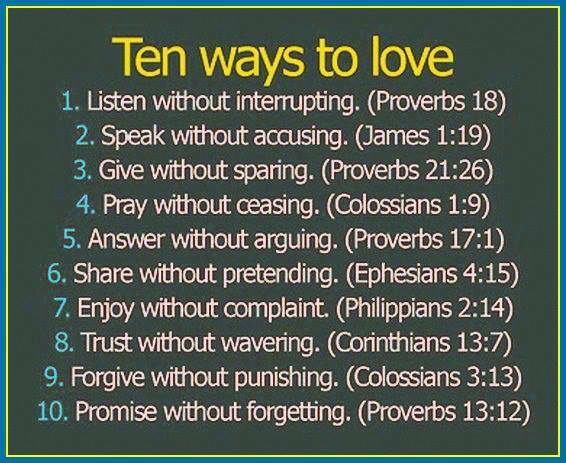 A Shepherd's Heart: Ten Ways To Love! Let me ask you, do you ever struggle with loving others around you? Well, if you're like me, there are some days where it's really a struggle! God's Word is filled with wisdom for you and I to learn and where we can grow by putting it into practice! 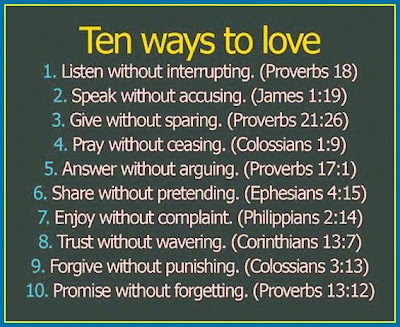 So, here are ten ways from The Word that will help you and I love better! No matter what, let's seek to love!